Ferienwohnung Linde | 5-Sterne Luxus-Feriendomizil mit Top-Service! 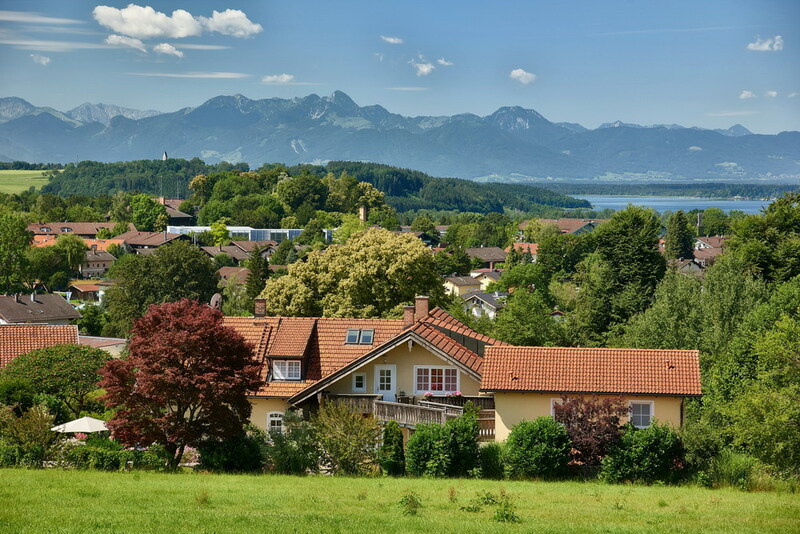 Holidays between Alps and Chiemsee in Bad Endorf at "Ferienwohnung Linde"
Located halfway between Munich and Salzburg, the Chiemsee-area is ideal for sightseeingand a relaxing break. The alpine upland has been designed by glaciers and offers a mild almost Mediterranean climate. Relax in a property quietly set in its own park-like garden on the fringes of the village of Bad Endorf. Enjoy unspoiled nature, take a deep breath of clean air, walk through healthy forests, stroll over blooming meadows and enjoy an overwhelming view of the lakes and mountains. Relax in one of our contemporary style holiday homes. Enjoy our comprehensive service starting with fresh rolls or breakfast in the morning up to individual sailing tours at lake Chiemsee. We want you to feel comfortable at our property! the highest award from the German Tourist Association.